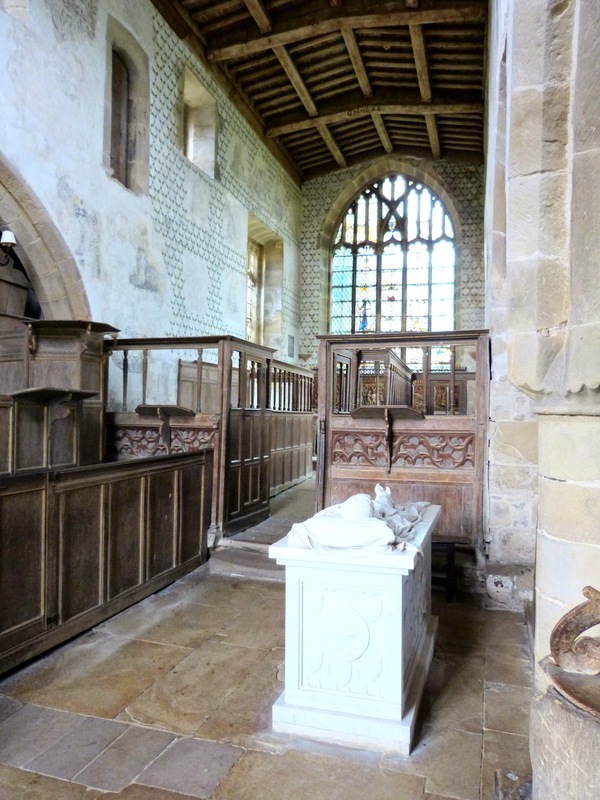 Today sees another guest post by my husband, Andrew Knowles. 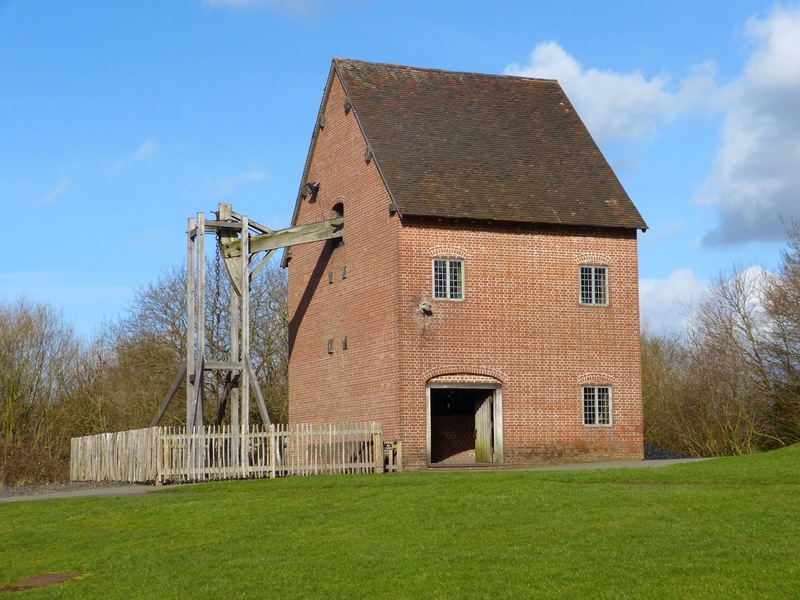 In 1712, two years before a portly German prince arrived from Hanover to become George I, Thomas Newcomen (1664-1729) installed an innovative water pump at a mine in Staffordshire. 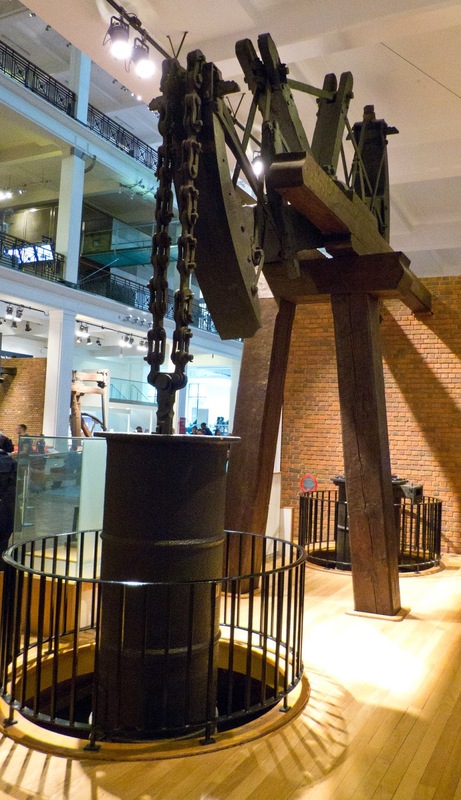 Newcomen’s device, the first commercially successful steam engine, solved a practical problem of extracting floodwater from mines. It also began the era of technological development we refer to as the Industrial Revolution. Such was the success of Newcomen’s steam engine that hundreds were built over the next hundred years and it would be half a century before the design was significantly improved on. In the 1770s, Scottish engineer James Watt (1736-1819) dramatically improved the engine’s efficiency. He went into partnership with Matthew Boulton (1728-1809) to manufacture the machines, making him immensely wealthy. By 1800 steam engines powered a host of industries including mining and manufacturing. The next major innovation was using steam to power a vehicle. Early models were developed in the 1780s and 90s but the first full-size engine was constructed by Richard Trevithick (1771-1833). On 21 February 1804, Trevithick's engine made the world’s first steam-driven railway journey, pulling a train in South Wales. The first railway opened to the public was the Liverpool and Manchester Railway, opened in 1830. The previous year they organised the Rainhill Trials, won by Robert Stephenson’s Rocket, securing him the contract to build engines for the new railway. 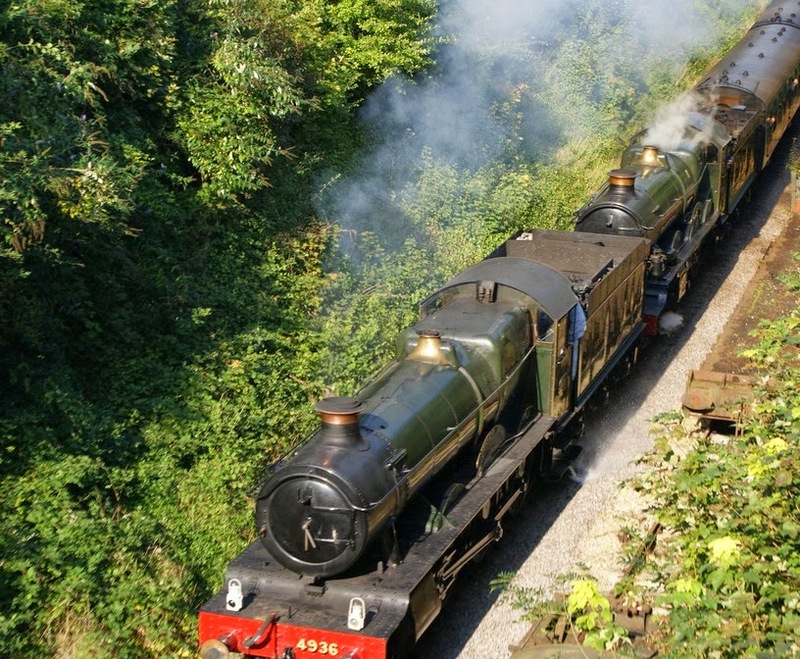 By 1837, when Queen Victoria came to the throne, steam railways were being built across the world, and steam engines were being put to many different uses. Ironbridge Gorge, Shropshire, has been awarded World Heritage Site status because of its key role in the Industrial Revolution. Here, in 1709, Abraham Darby (1678-1717) was the first person to smelt iron in a furnace powered by coke, rather than charcoal. Using coke, made from coal which was locally abundant, removed the reliance on wood, an increasingly scarce resource. It also meant much more iron could be produced. 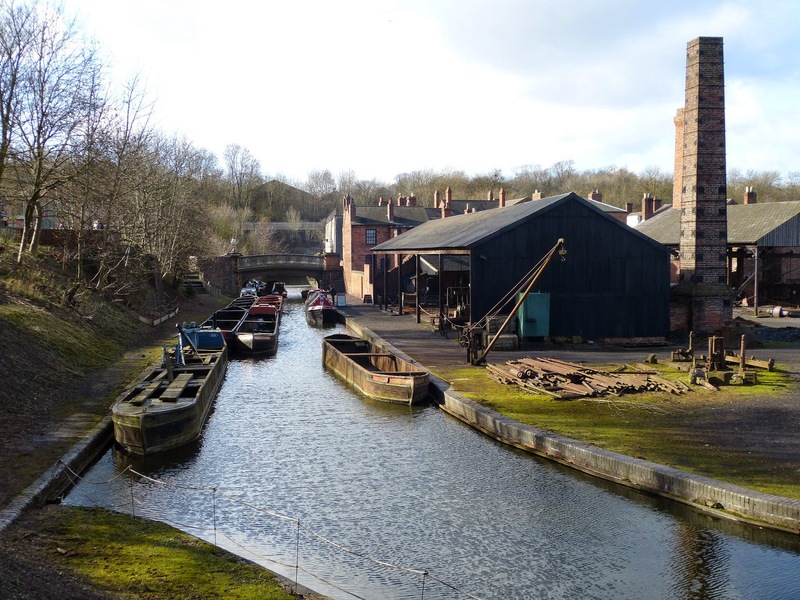 Coalbrookedale, where Darby was working, became a centre of innovation and industry for decades. In 1779, the world’s first iron bridge was completed, crossing the gorge. The iron bridge is now a monument to the Industrial Revolution. 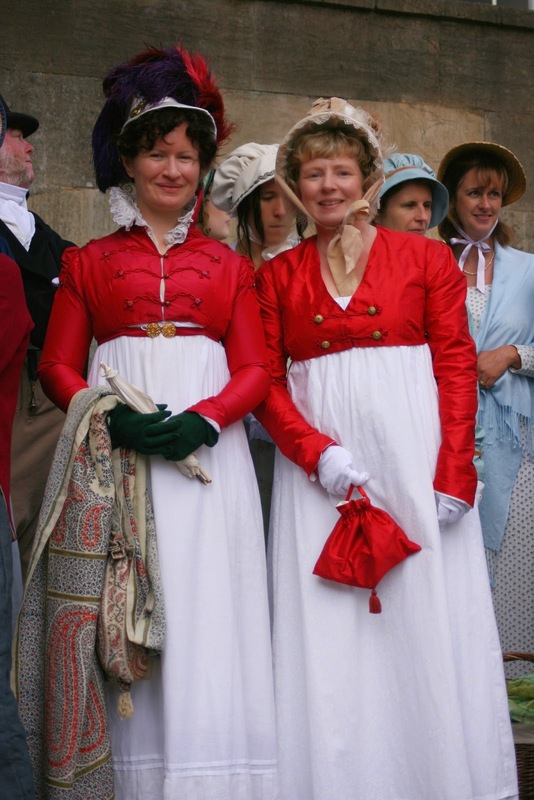 During the seventeenth century, cotton fabric became increasingly popular. Lighter and easier to wash than wool, cotton garments were initially imported from India while domestic spinning and weaving industries developed slowly, the work carried out by hand, typically in homes. James Hargreaves (1720-1778) and Richard Arkwright (1732-1792) both introduced mechanisation to the cotton industry in the 1760s. 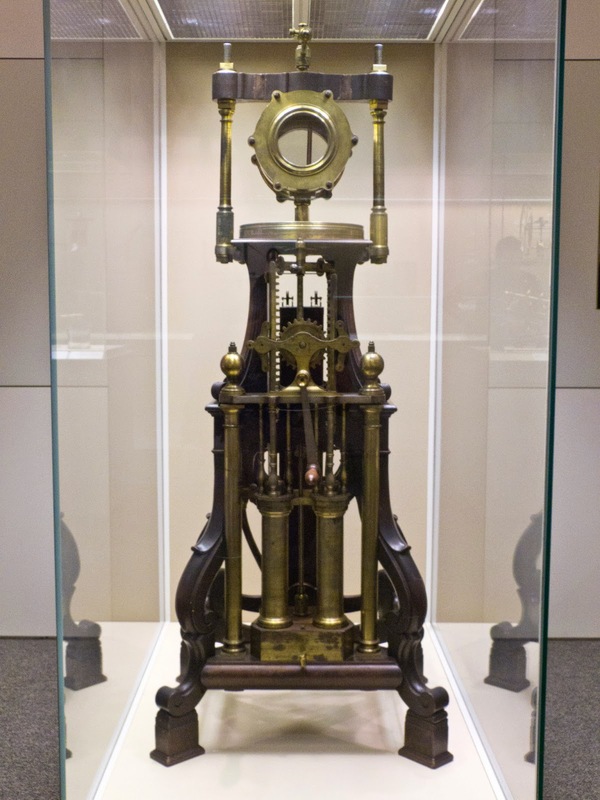 Hargreaves invented the Spinning Jenny while Arkwright created the Water Frame. Arkwright built ‘manufactories’ to house his machines and employed hundreds of unskilled workers to operate them. He also took advantage of steam power, using a Watts engine to pump the water that drove his machines. 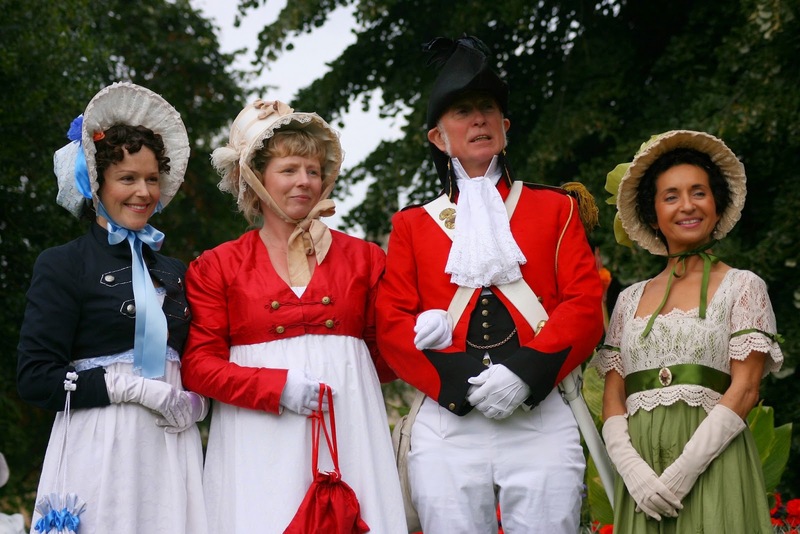 By the 1790s, Britain was producing over a million cotton garments a year. Reaction against increased mechanisation included the Luddite riots of 1811-1813, where many machines were destroyed by workers who felt threatened by new technology. The population of Britain in 1750, at 5.7 million people, was probably not dissimilar to the number living here in Roman times. 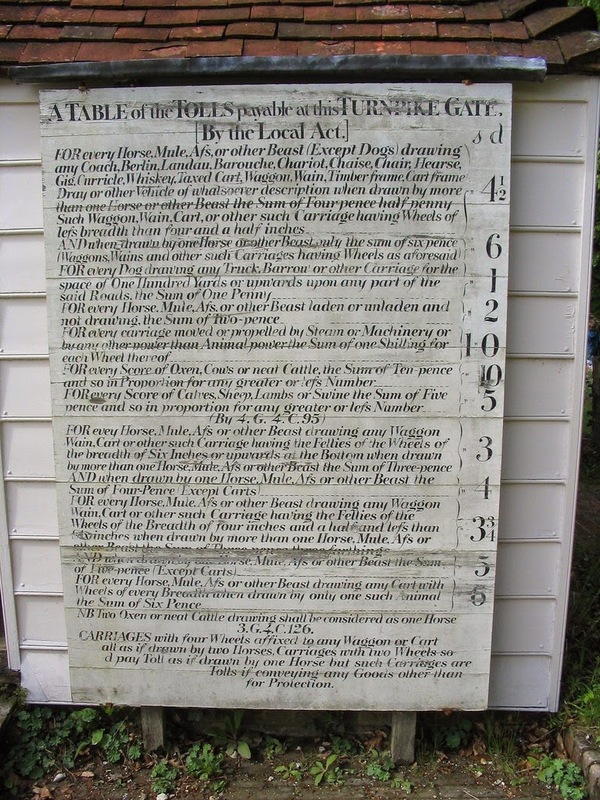 It was also the maximum number that could be fed by the land using contemporary agricultural methods. By 1850 the population had more than doubled to 16.6 million. New ideas about farming, combined with new technologies, meant more food could be produced from the same area of land. During the same period large areas of land were made usable through drainage or deforestation. You may also be interested in the Regency History guide to Georgian architecture. As the population grew, along with demand for new products, the nation’s transport infrastructure required improvement. The final quarter of the eighteenth century was the great age of canal building, starting with the Bridgewater Canal which opened in 1776. By 1810 Britain was criss-crossed by over four thousand miles of artificial waterways, traversed by thousands of barges carrying coal, clay and manufactured goods. While canals provided transport for large quantities of heavy or bulky items, the majority of people who travelled any distance did so by road. Poor maintenance and increasing volumes of traffic damaged the surface of many roads, which were unpaved and could become almost impassable in bad weather. The solution was the Turnpike system, which began in the late seventeenth century and lasted until the 1870s. Turnpikes were toll roads, managed by Turnpike Trusts, where money was invested in building a more solid surface, making it easier for horses and carriages to travel at a reasonable speed. In 1825 there were one thousand Turnpike Trusts controlling 18,000 miles of road. In the early nineteenth century, the rate of building of new canals and Turnpike roads slowed dramatically, as railways became an increasingly popular alternative. The Industrial Revolution was the result of many factors that combined during the eighteenth century. One of these was the relative peace enjoyed by the country, particularly later in the century, when many other European nations were being ravaged by war. This relative peace, and along with it the reign of the Hanoverian kings, was secured in 1746 at the last pitched battle in Britain, at Culloden. The destruction and disruption which follows the movement of armies during wartime ceased. At the same time, neither the monarchy nor the church sought to impose strict controls on society, allowing free thought and experimentation to flourish. Public lectures on science, or ‘natural philosophy’ as it was known at the time, became popular during the first half of the eighteenth century. George III, who became king in 1760, was fascinated by science. He collected, or had made, numerous scientific instruments that were used to both entertain and instruct. His collection, which includes air pumps, globes of the known world and a model diving bell, is now on display in the Science Museum, London. Richard Brinsley Sheridan (30 October 1751 – 7 July 1816) was an Irish playwright and owner of the Theatre Royal, Drury Lane. His most famous works include The School for Scandal and The Rivals. He was a Whig MP and intimate friend of Charles James Fox and George, Prince of Wales. Read some of the clever things that Sheridan said and wrote. He was educated in Dublin at Samuel Whyte’s school in Grafton Street and later in Windsor by his mother before being sent to Harrow in 1762. 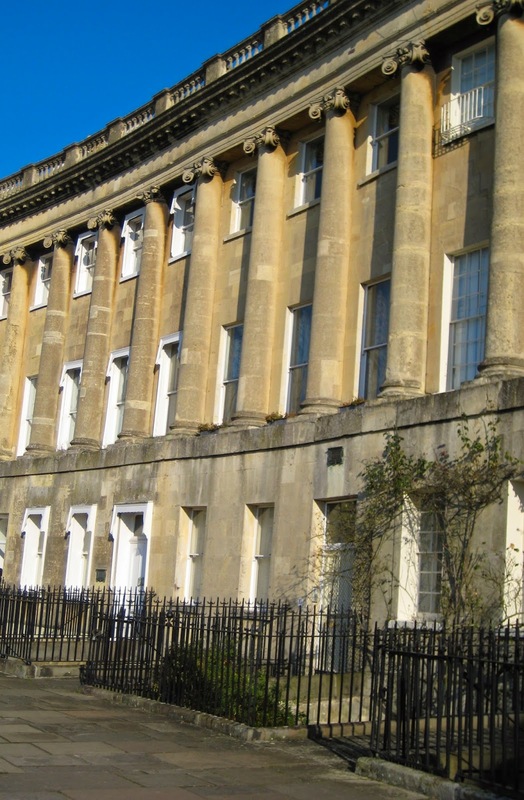 After spending a few years in London, Sheridan moved to Bath in 1770, where his widowed father taught elocution. 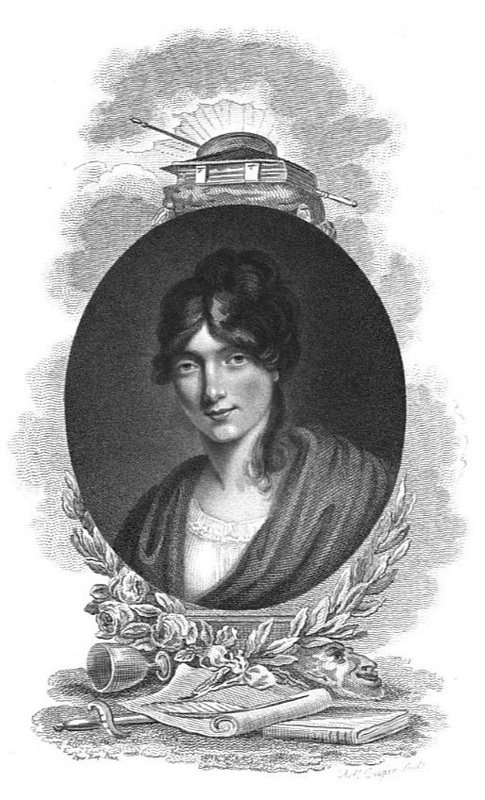 In Bath, Sheridan began writing and had several poems published. His most popular works included The Rivals (1775), The School for Scandal (1777) and The Critic (1779) and the libretto for a comic opera, The Duenna (1775). 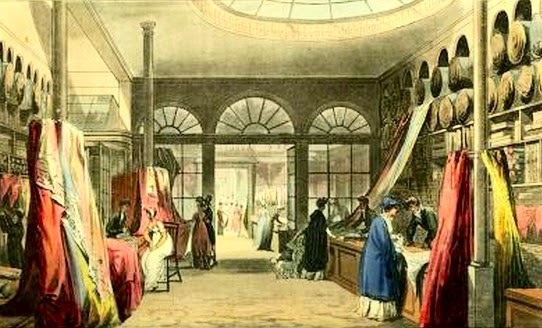 In 1776, Sheridan bought David Garrick’s share in the Theatre Royal, Drury Lane, and on 21 September, the theatre opened under his management. He bought the remaining share in 1778. The theatre had to be rebuilt in the early 1790s, embroiling Sheridan in complicated financial arrangements. In 1809, the Drury Lane Theatre burnt down depriving Sheridan of his major income stream. 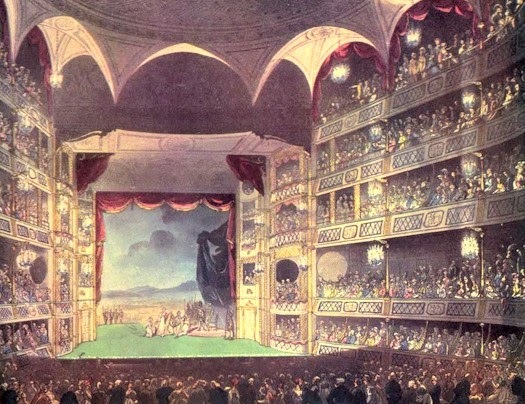 The rebuilding of the theatre, together with its debts, was taken on by Samuel Whitbread, and when it reopened in 1811, Sheridan no longer had any share in its management. 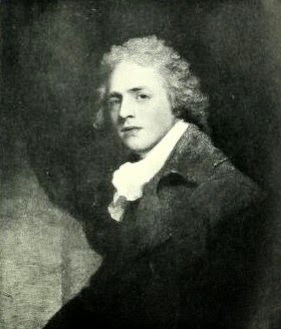 Despite his success as a playwright, Sheridan was keen to enter politics. He became an MP in 1780, supporting the Whig opposition led by Charles James Fox. During his political career, he was MP for Stafford (1780-1806), Westminster (1806-7) and Ilchester (1807-12). During the Regency crisis of 1788, Sheridan acted as a link between the Prince of Wales and the Whigs. Sheridan spoke eloquently in favour of the impeachment of Warren Hastings. Like Fox, Sheridan initially supported the French Revolution but opposed the execution of the King. He fell out with Edmund Burke who painted him and Fox as extreme radicals who wanted to remove the British monarchy. Sheridan was in favour of reform and Catholic emancipation and became increasingly involved in Irish politics, supporting Irish independence. He also spoke enthusiastically in support of freedom of the press. On 18 March 1772, Sheridan eloped with Elizabeth Linley from her father’s house in Bath. Elizabeth was a beautiful and talented soprano singer who was being relentlessly pursued by a married man named Captain Matthews. Elizabeth had called on Sheridan to save her from his importunities. Neither family was in favour of the marriage. 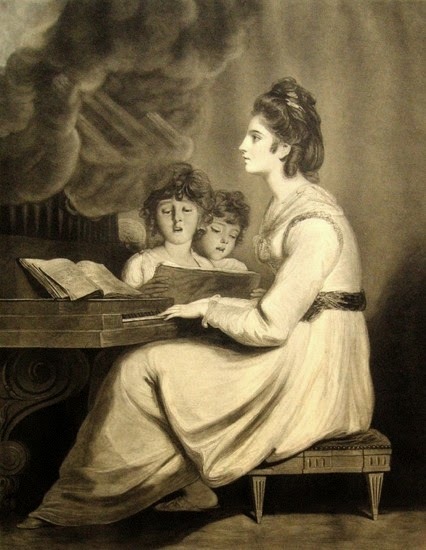 Thomas Linley wanted his daughter to continue her successful musical career; Sheridan’s father thought the Linleys an inferior connection. The couple were eventually married on 13 April 1773. 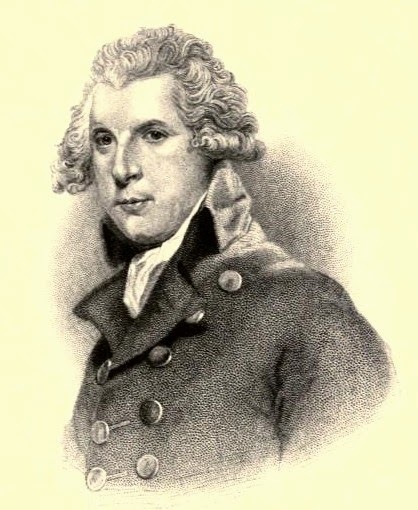 Thomas Linley accepted the marriage; Sheridan’s father disowned him. They had one son, Thomas (1775). After the elopement, Matthews denounced Sheridan’s behaviour in the Bath Chronicle. Sheridan successfully fought a duel with him to make him apologise. Matthews then forced a second duel in which Sheridan was badly injured. Sheridan and his wife Elizabeth were welcomed into aristocratic circles where they were encouraged to live in a style beyond their means. 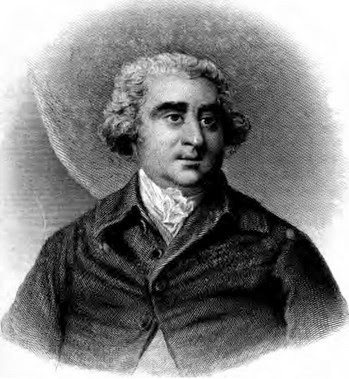 Sheridan became an intimate friend of Charles James Fox and of George, Prince of Wales. He was not addicted to gambling like many of his friends, but frittered away his money on extravagant living and heavy drinking. 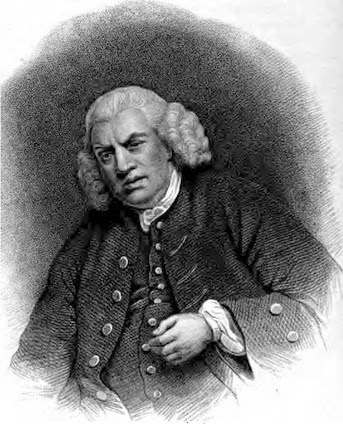 In March 1777, Sheridan was elected a member of the Literary Club at Samuel Johnson’s instigation. 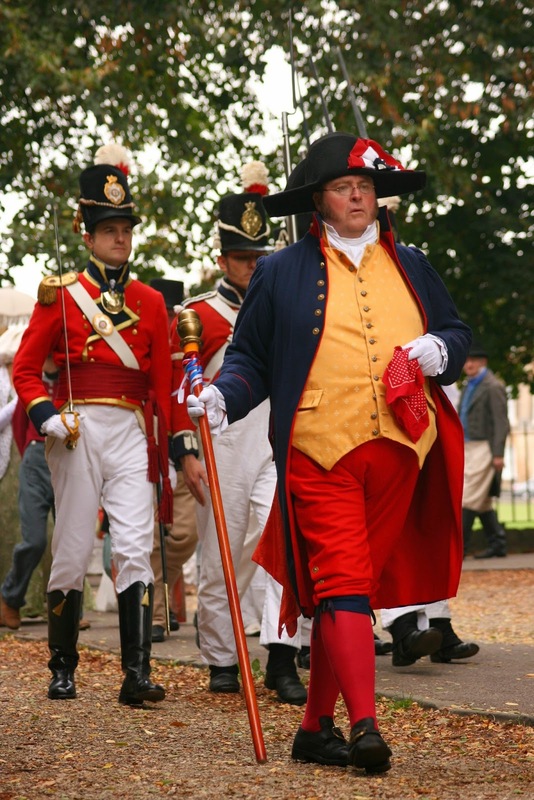 On 2 November 1780, he was elected a member of Brooks’ Club having been rejected twice previously. 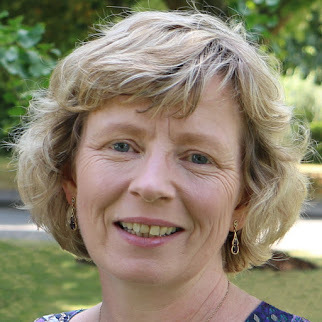 Sheridan was not a faithful husband. He had an affair with Mrs Frances Anne Crewe, a Whig hostess to whom he dedicated The School for Scandal. He then embarked on a passionate affair with Harriet, Lady Duncannon, later Lady Bessborough, the Duchess of Devonshire’s younger sister. It was not until Harriet’s husband threatened to divorce her in 1789 that the affair was finally brought to an end. But Sheridan remained obsessed with Lady Bessborough, causing his ex-lover a good deal of embarrassment. In 1792, Elizabeth had a daughter, Mary, whose father was probably Lord Edward Fitzgerald, with whom she was having an affair. 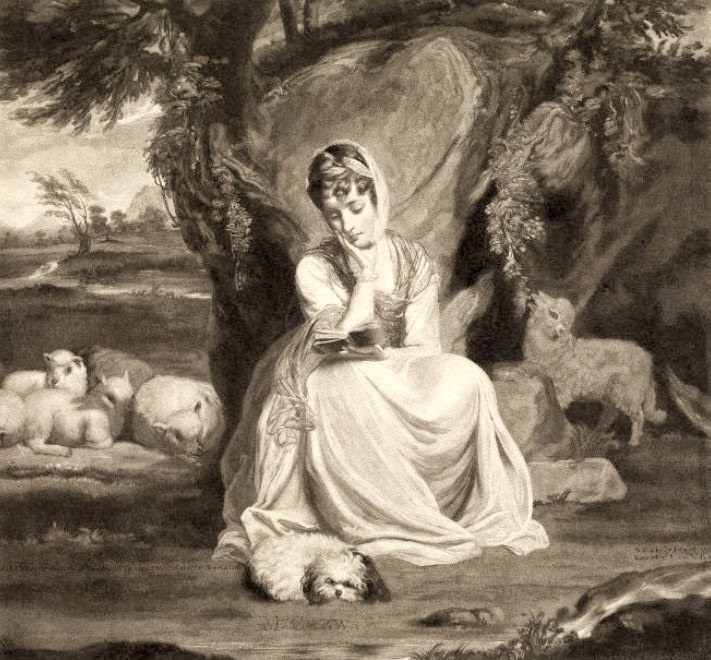 Sheridan treated Mary as his own daughter, but sadly she died as an infant. Despite his infidelities, Sheridan was distraught when Elizabeth became ill with tuberculosis and died on 28 June 1792. On 27 April 1795, Sheridan married again. His second wife was Hester Jane Ogle, the 19 year old daughter of the dean of Winchester, known as Hecca. 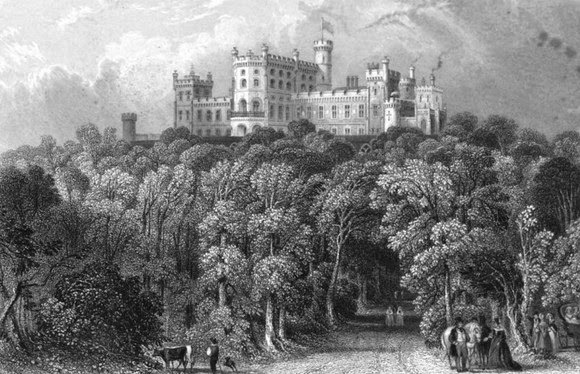 They had a son, Charles Brinsley, in 1796 and purchased the estate of Polesden Lacey in Surrey for their family. 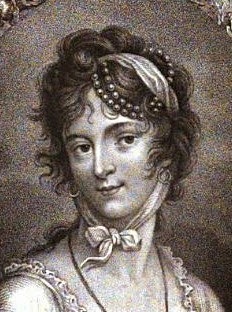 Whilst Sheridan continued to pursue his obsession with Lady Bessborough, Hecca had an affair with Lord Grey. Sheridan consistently outlived his income, but he was proudly independent and was reluctant to accept financial help from others. 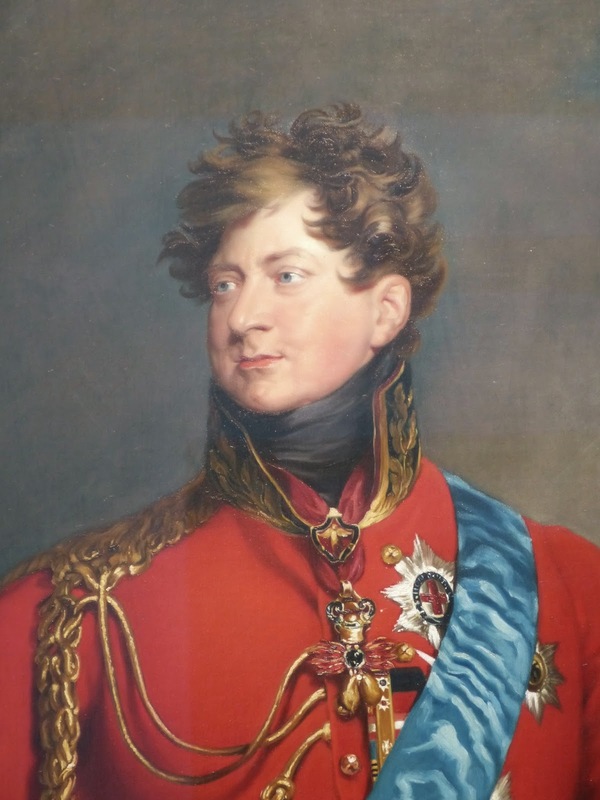 However, in 1804, Fox and the Prince of Wales persuaded him to accept the role of Receiver-General for the Duchy of Cornwall. After losing his seat in the House of Commons in 1812, Sheridan was no longer exempt from being arrested for debt and was imprisoned several times. Sheridan’s heavy drinking affected his political performance and his health and he suffered from bouts of depression. He became ill in December 1815 and died on 7 July 1816 at 14 Savile Row with his wife beside him. 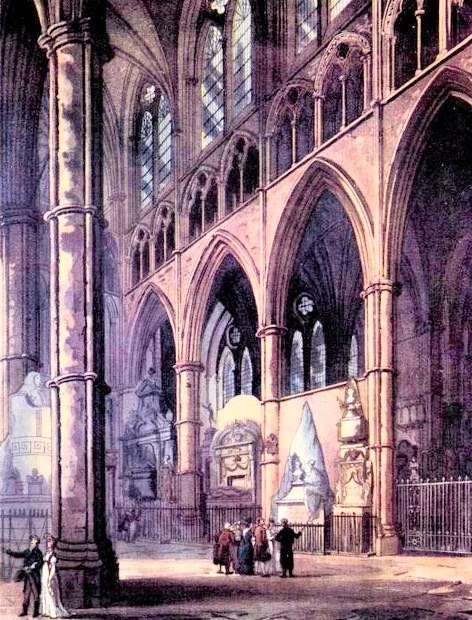 He was buried in Poets’ Corner in Westminster Abbey on 13 July. (1) There would appear to be some uncertainty as to Sheridan’s date of birth. Jeffares says Sheridan was born in September or October 1751 whereas Stephen and others state it precisely as 30 October 1751. 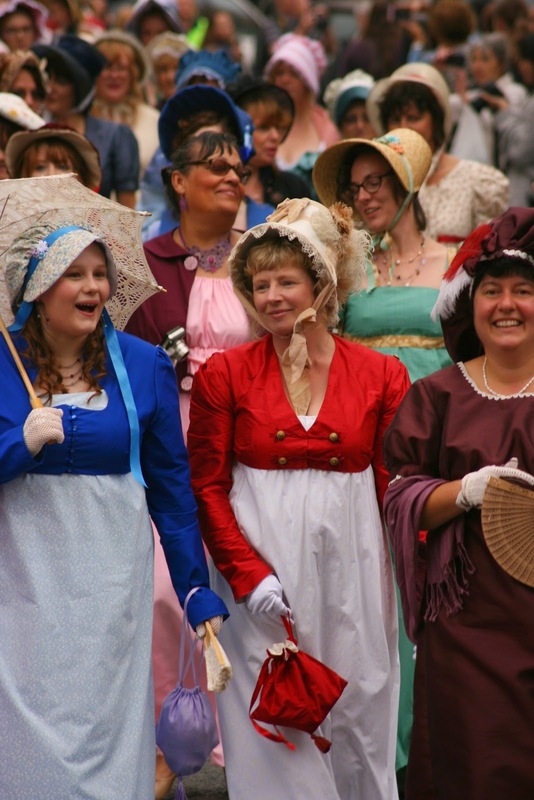 On Saturday, Bath stepped back in time to its Georgian heyday. 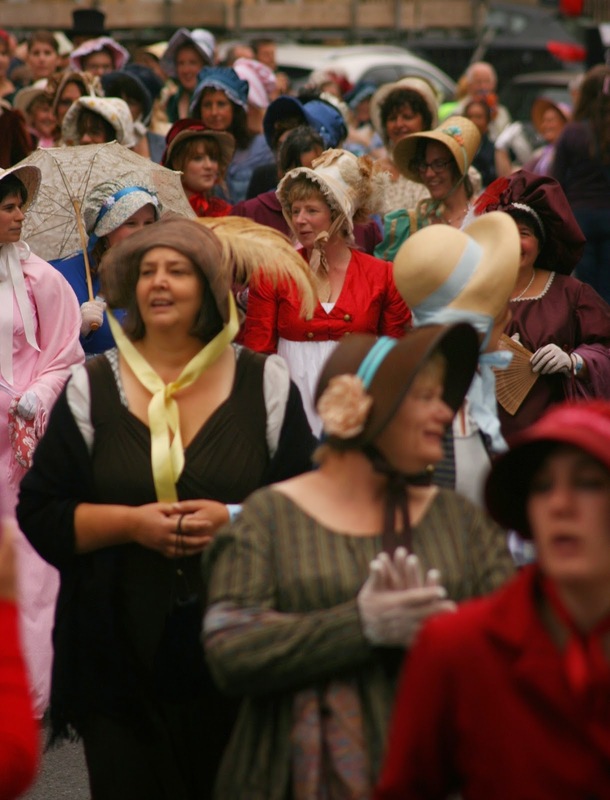 The streets were full of Jane Austen enthusiasts dressed up in Regency costume for the Jane Austen Festival Grand Regency Costumed Promenade. ...and lots of photos from my three lovely photographers - my husband Andrew, his brother Stephen and our youngest daughter Mirabelle. 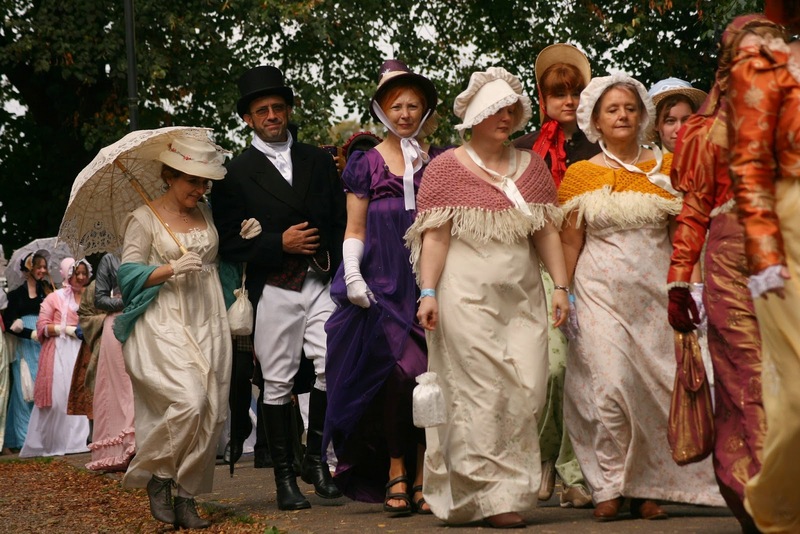 We met in the beautiful Georgian Assembly Rooms, where we successfully set a new world record for the most people dressed up in Regency costume in one place: 550! And that could have been more as people were still arriving after the official count as a rugby match and a university open day also taking place on Saturday had caused more than a few Austenites to be delayed by traffic. 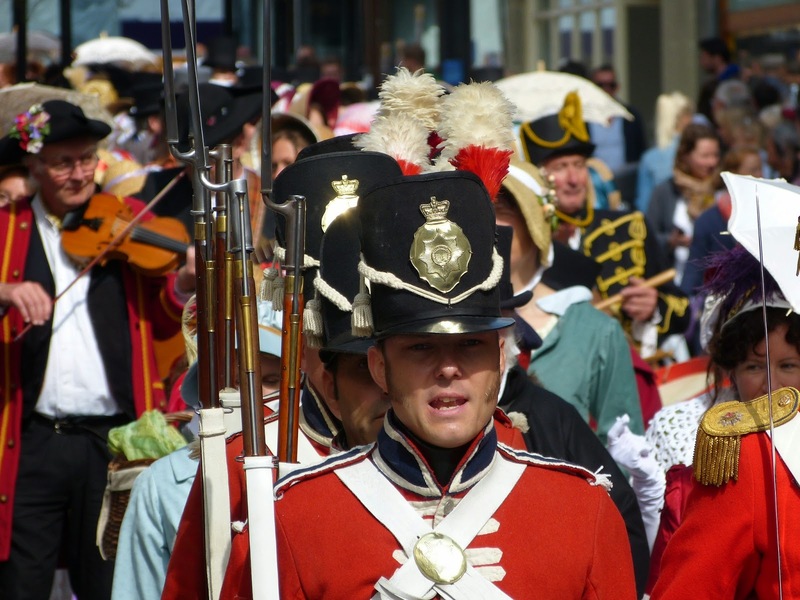 The promenade was led by a dashing group of redcoats and staff from the Jane Austen Centre. 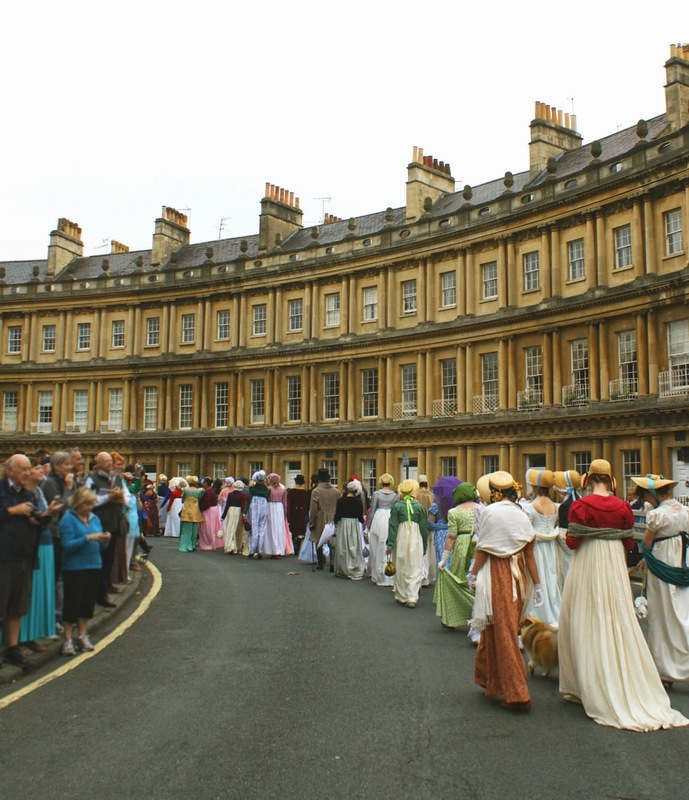 We paraded through much of the Georgian city including the very fashionable Circus, where the painter Thomas Gainsborough and the Earl of Chatham once lived, and down Milsom Street, where Regency ladies would have visited the circulating library and gone shopping. The atmosphere was amazing. 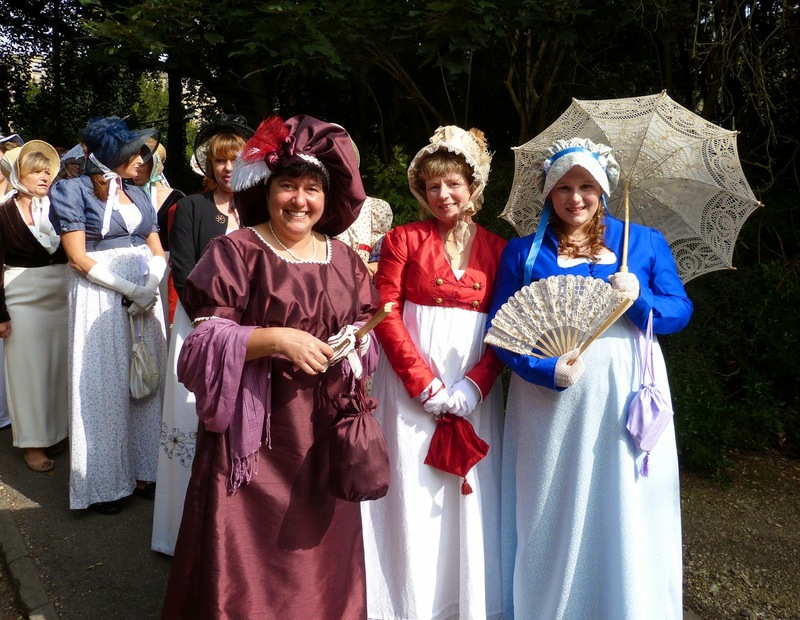 We were all joined together by our love of the Regency period and it was great to make new friends as we walked in the footsteps of Jane Austen, who lived in Bath for several years and set parts of two of her novels there – Northanger Abbey and Persuasion. An extra special moment for me was meeting the charming Adrian Lukis alias Mr Wickham from the superlative 1995 BBC adaptation of Pride and Prejudice. 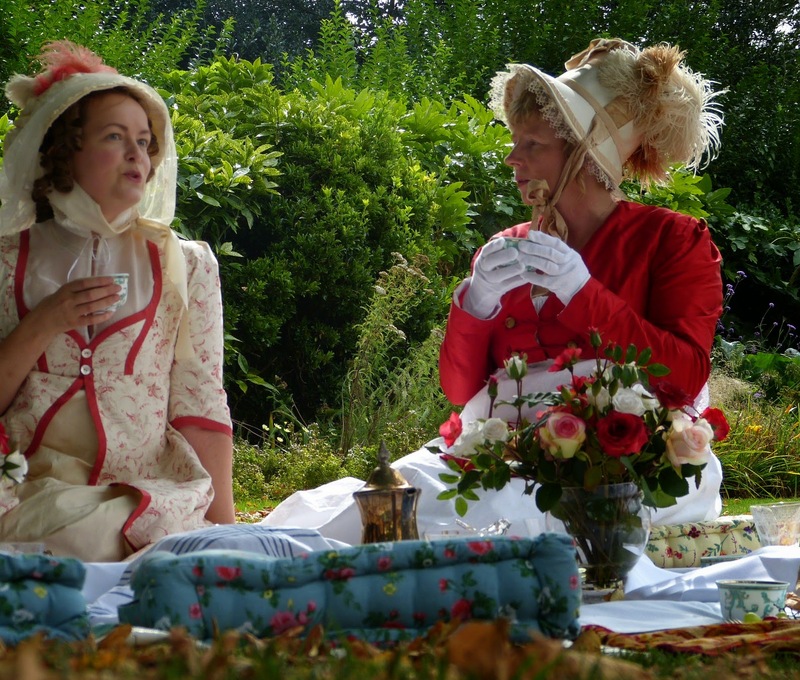 The promenade ended in the Parade Gardens alongside the River Avon – a beautiful setting for a picnic and photographs. 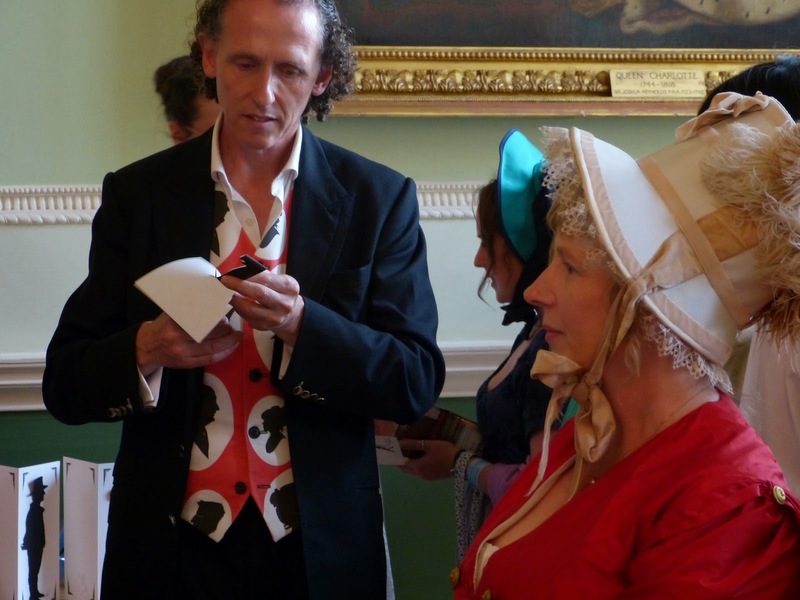 After the promenade, I visited the Festival Fayre in the Guildhall where I had my silhouette cut out by the amazing Charles Burns – The Roving Artist – and tried on a wide variety of exquisite hats and bonnets made by Farthingale Historical Hats. 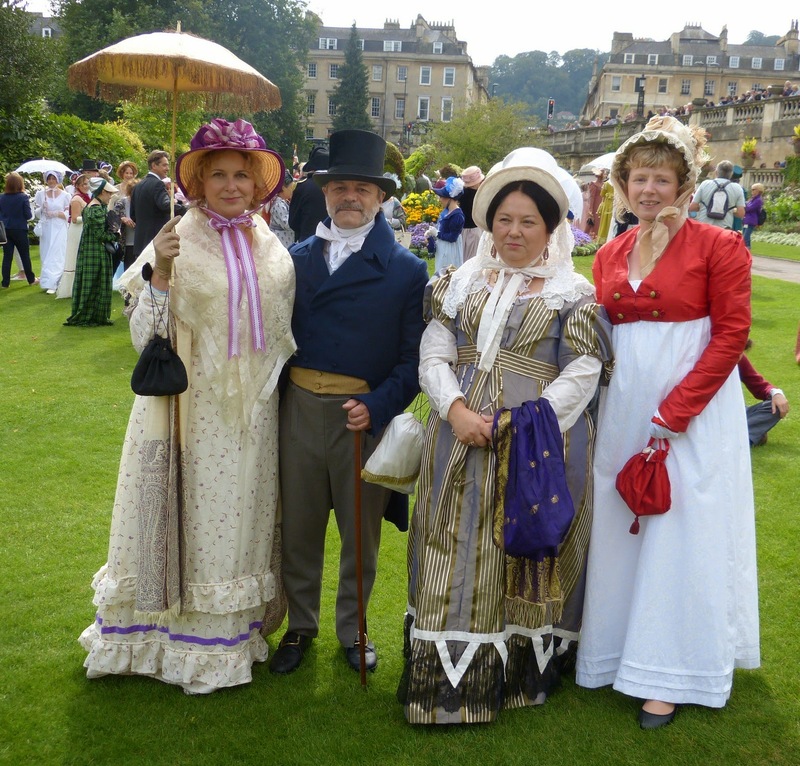 I thoroughly enjoyed wearing my Regency costume for the first time and am looking forward to meeting up with everyone again next year. Read about the making of my costume here. 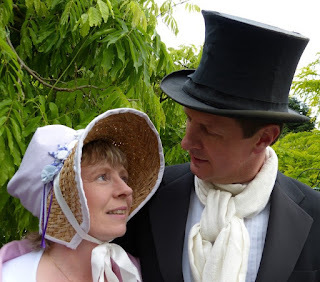 More photographs of the Jane Austen Festival on Andrew's Flickr account, on Mirabelle's photography page and on Stephen's Flickr album here. Photographs © Mirabelle Knowles and Stephen Knowles as stated. All other photographs © Andrew Knowles. 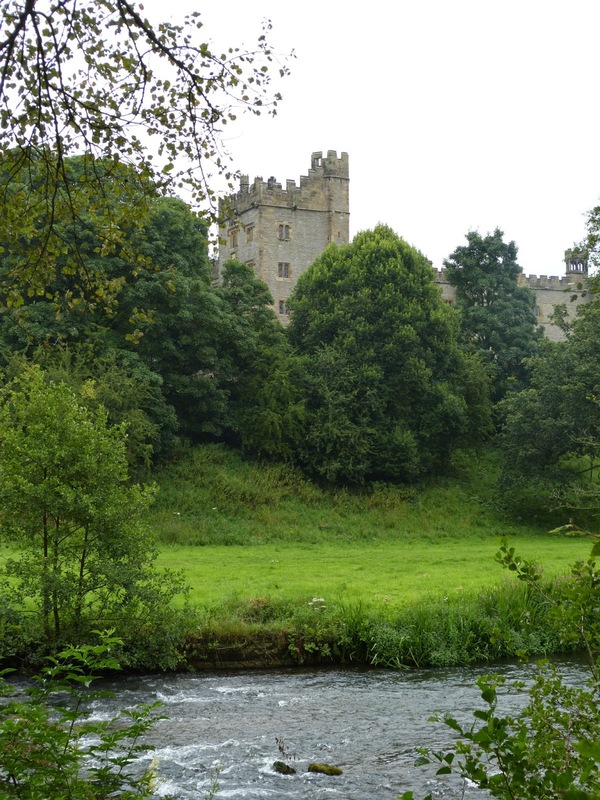 Haddon Hall is in Bakewell, Derbyshire. 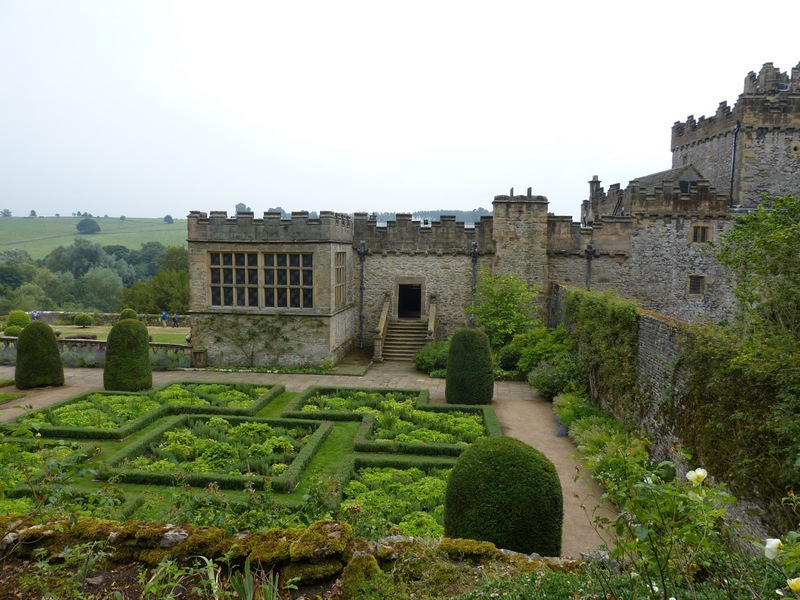 Haddon Hall was acquired by the Vernon family through a marriage settlement in 1180 and passed to the last Vernon owner’s son-in-law, Sir John Manners, in 1565. Most of the existing house was built during this long period of ownership by the Vernon family. 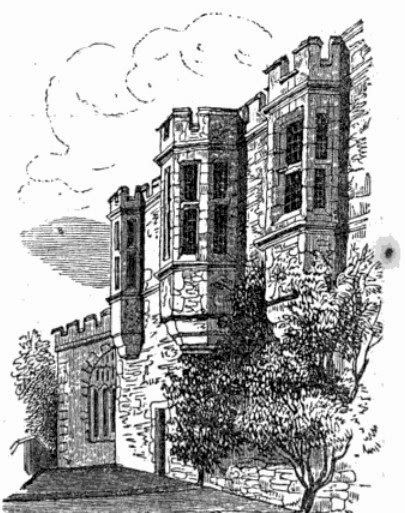 Sir John Manner’s grandson, another John Manners (1604-1679), became 8th Earl of Rutland and inherited Belvoir Castle on the death of his cousin in 1642. His son, yet another John (1638-1711), was made 1st Duke of Rutland and Marquess of Granby in 1703 and he abandoned Haddon Hall for Belvoir Castle. 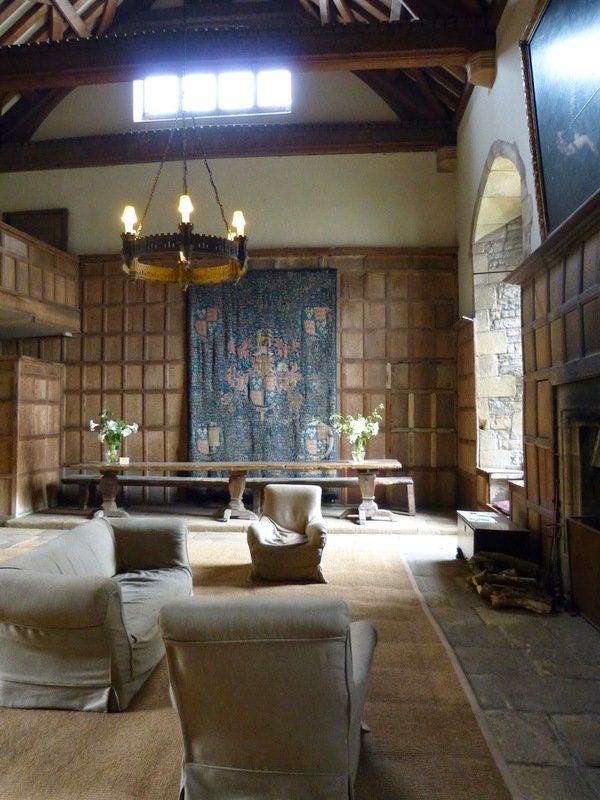 The Hall was restored by the 9th Duke and Duchess of Rutland in the early 20th century and is now home to their grandson, Lord Edward Manners. John Manners, 2nd Duke of Rutland (1676-1721). John Manners, 3rd Duke of Rutland (1696-1779) - one of the founding governors of the Foundling Hospital (1). He married the heiress Bridget Sutton. Two of his sons, Lord Robert (1722-1762) and Lord George (1723-1783) adopted the name Manners-Sutton on inheriting from their maternal grandfather. Charles Manners, 4th Duke of Rutland (1754-1787) - married Lady Mary Isabella Somerset (1756-1831), a renowned beauty and political hostess. John Henry Manners, 5th Duke of Rutland (1778-1857) - bred racehorses. 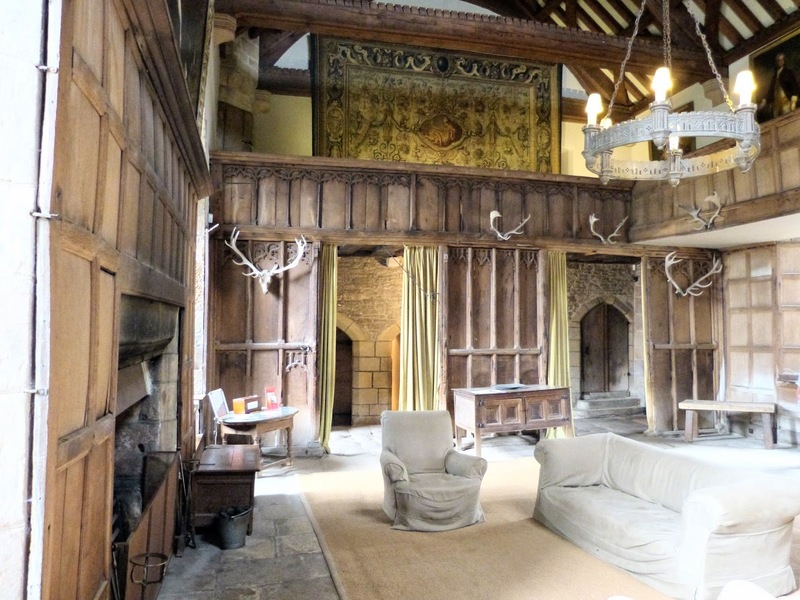 Although the Dukes lived at Belvoir Castle in Leicestershire and Haddon Hall was left uninhabited, people still visited the Hall. 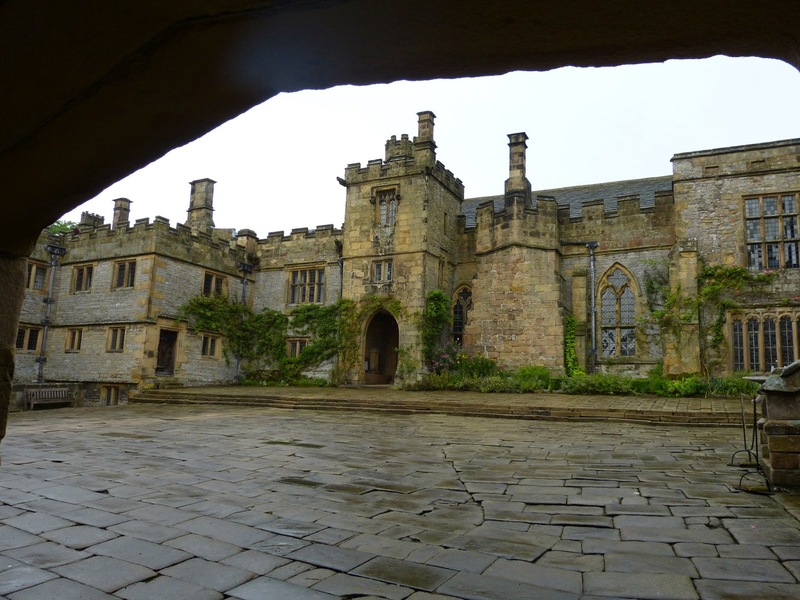 Adam claimed that the Hall had “assisted the imagination of Mrs. Radcliffe in its wildest flights, when writing The Mysteries of Udolpho". 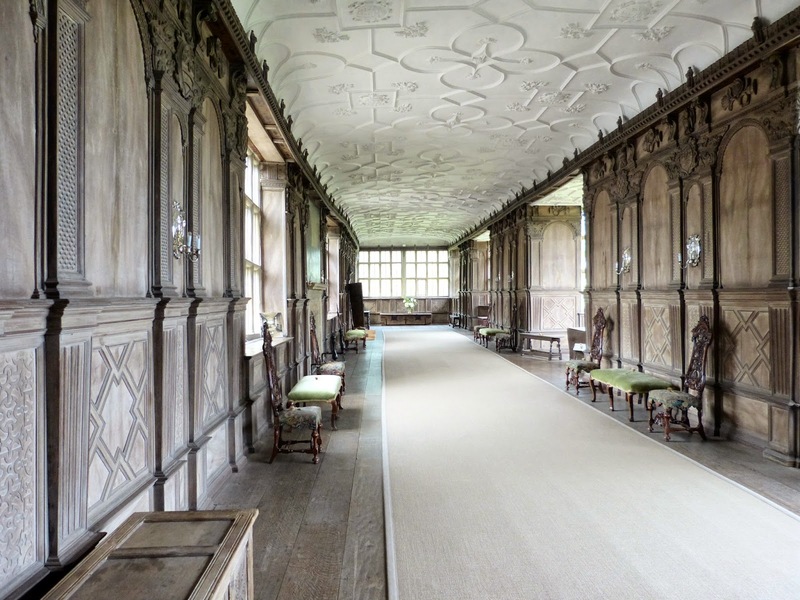 During the middle of the 19th century, Samuel Rayner and his family from Matlock Bath frequently painted the Hall. 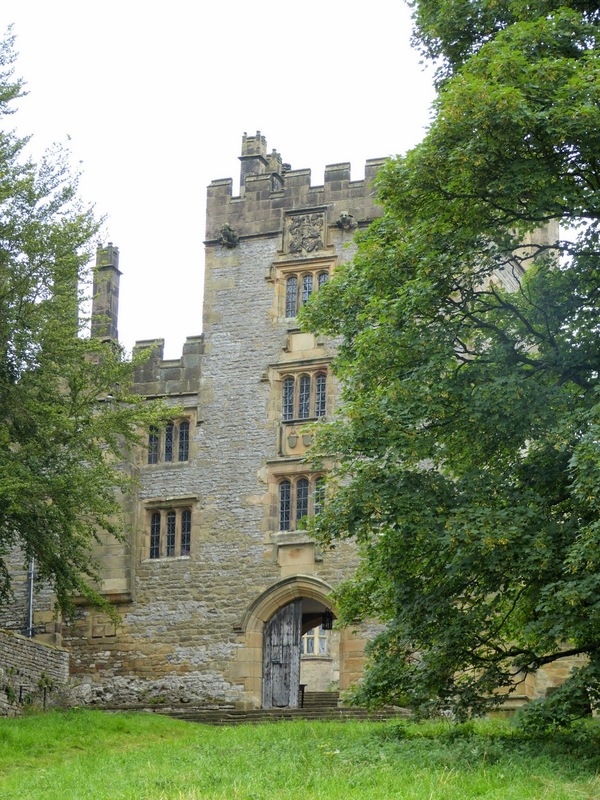 Haddon Hall is a popular film set. 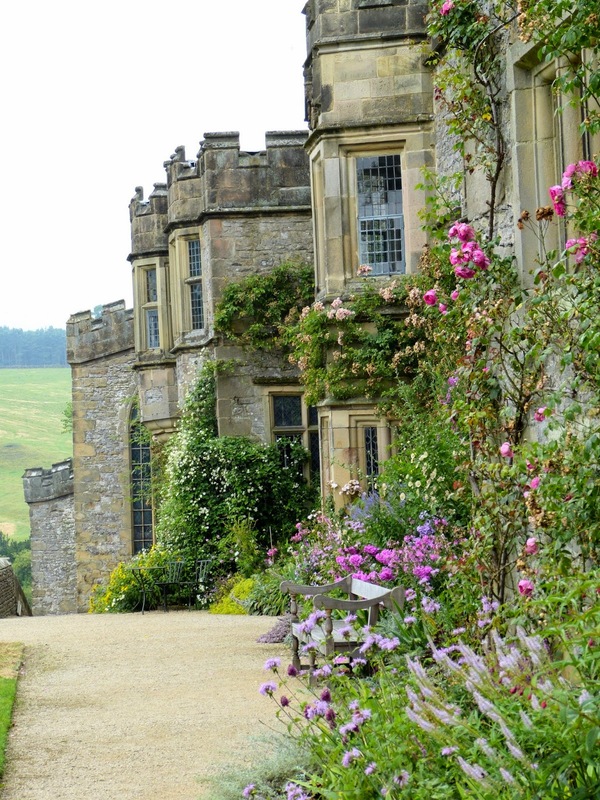 It has repeatedly been used as the location for Thornfield Hall in film and TV productions of Charlotte Brontë’s Jane Eyre. 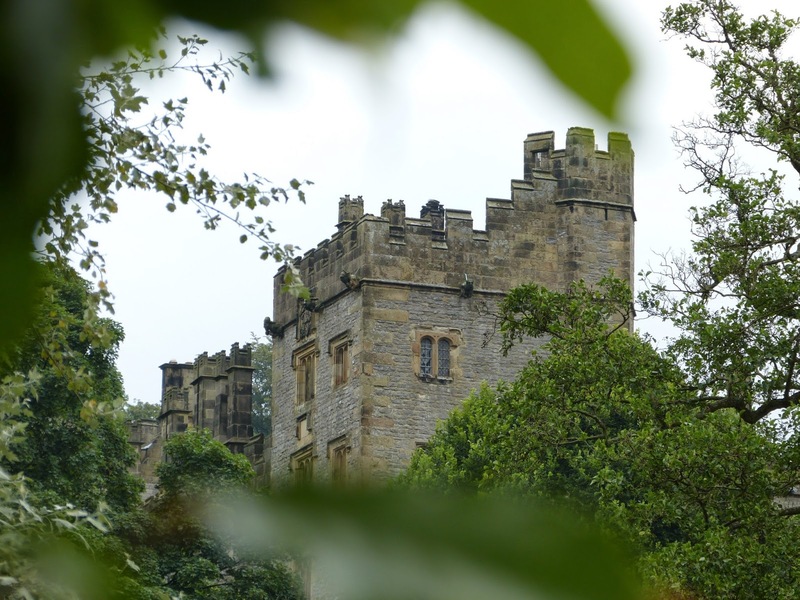 Although it is unlikely that Charlotte ever visited, the fact that it existed in an eerie and interesting state during her lifetime makes it at least possible that she could have based Thornfield on Haddon Hall. 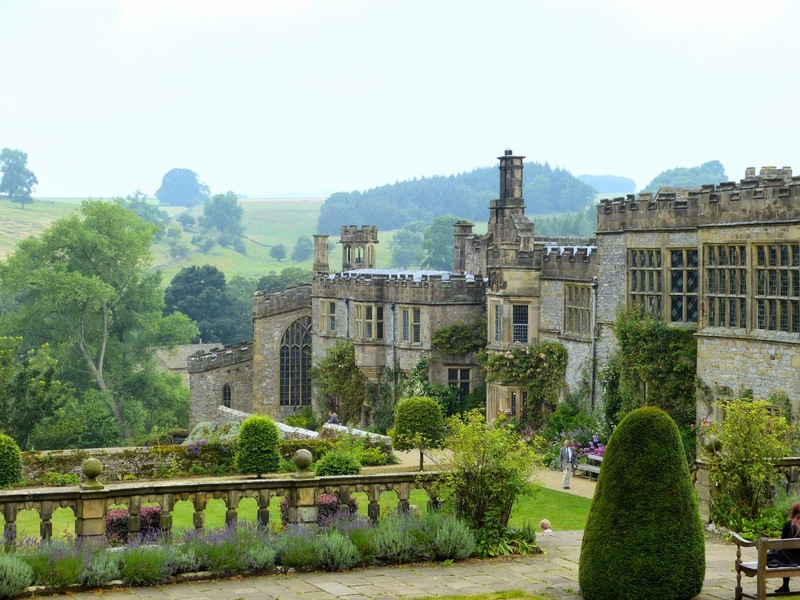 Haddon Hall was also used as Prince Humperdinck’s castle in The Princess Bride (one of my favourite films). Here's a list of some short videos on a Georgian theme. 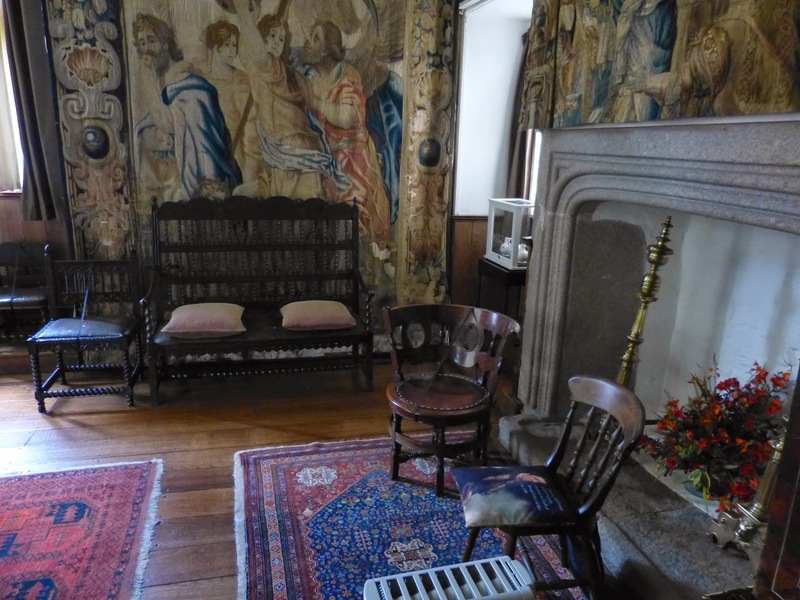 The room in Cotehele, Cornwall, where George III and Queen Charlotte took breakfast in 1789. Did they sit on the embroidered cushions? (Rachel says: Sadly, no. The royals sat on separate chairs which later had to be removed as they were getting damaged from too many people sitting on them!) Click to view the video. A bedroom in Saltram House, Devon, decorated in eighteenth century Chinese wallpaper. Click to view the video. 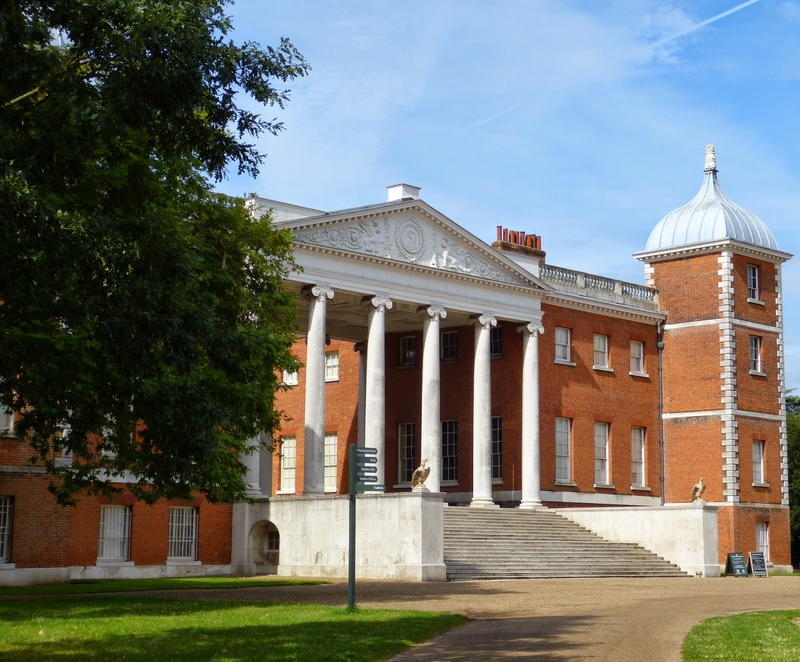 Read about Osterley Park here. 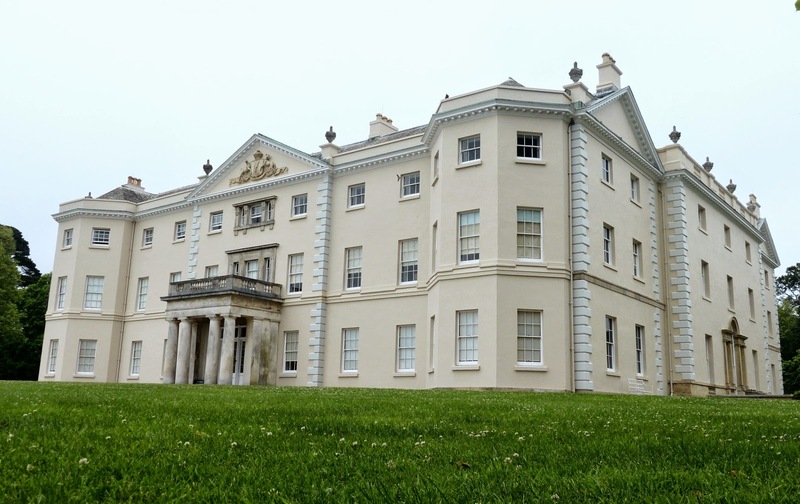 Read about Mount Edgcumbe here.